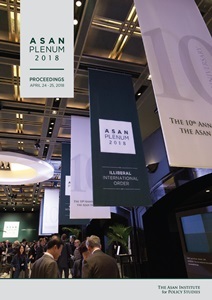 The Asan Plenum is a yearly gathering of the world’s leading experts and scholars. In addressing the most pressing problems facing the world with expertise from around the globe, the Asan Plenum aims to impact the policy making process and enable the global community to better deal with the challenges it faces. The Asan Plenum is a two-day, multi-session conference organized by the Asan Institute for Policy Studies.